It has been awhile since our last post. Sorry about that, but we’ve been collecting a lot of good feedback from our latest article in which we covered what KPI you were missing from Email Marketing usual stats. That thrives us to keep providing great content for your Email Marketing growth. 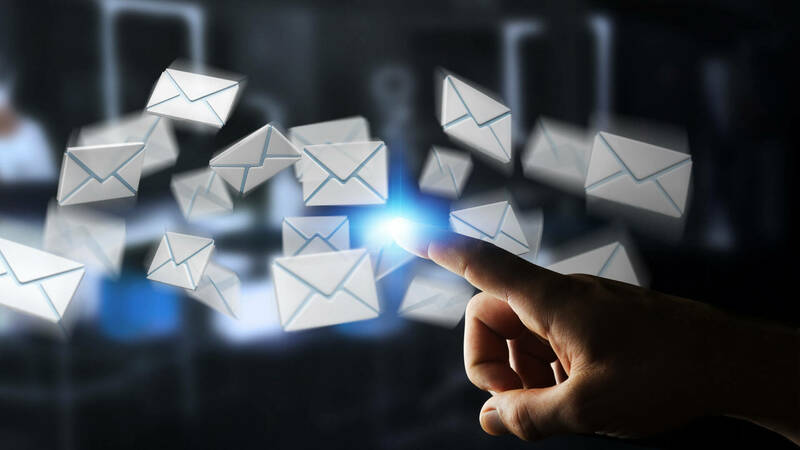 Quite recently, at MarketingProfs, Ayaz Nanji covered a study conducted by Experian to represent the updated Email Marketing Benchmark 2016 4th Quarter. What stands out from this study? 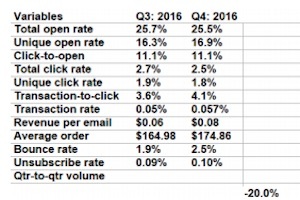 14% Email Marketing volume rose from the same 4Q period 2015 to 2016. 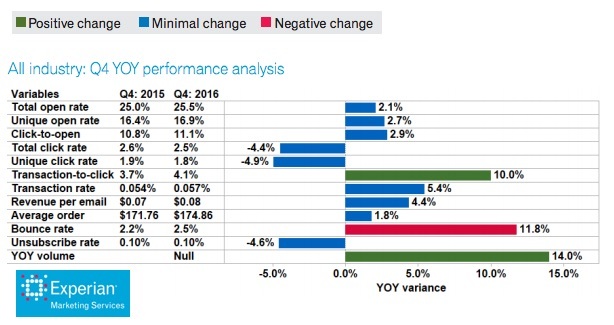 56% of Total Email Opens occurred on smartphones or tablets in 4Q16. Average Transaction to Click Rate increased 10% from the same period. Revenue per Email just increased by 23,9%. On the not so good news side. the bounces have increased as well from 1.9% to 2.5% which is a bit alarming. Also, total CTR and unique CTR have decreased a bit. This can be quickly solved with engaging and relevant information for the users. This happens when you don’t care about what they want and send what YOU want. In short, respect their interest in order to have better results. Seems simple. You can check the resume at MarketingProfs here and the original study download here. I hope it helps you. At this article, Jason Warnock explores how marketers will invest in innovative tactics and technologies. However, what we can extract from the study and surveys done to marketers in the industry is that they prefer to innovate on reliable channels like email rather than other media less mature. Email Marketing has been proven time and time again that it’s alive and well. The metrics have been steady and it has still the best ROI in the industry. So, why not to use it to innovate and try new things using email? Dynamic Offers: Makes sense, instead of just static offers and make use of dynamic content, depending on user triggers. User Generated Content: Risky, yet absolutely crucial in order to build trustworthy communication with their audience. Beacons or Triggers: Depending on trigger activation, specially prepared messages can be sent to customers or potential customers depending on their purchase flow.